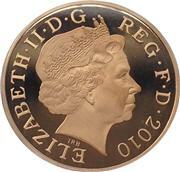 The 2001 One Pound Coin. The Reverse is a Celtic Cross with a Pimpernel Flower in the centre surrounded by an ancient Torc representing Northern Ireland. Some describe it as a Celtic cross, Broighter collar and pimpernel. The design, by Norman Sillman, was used in 1996 and 2001. 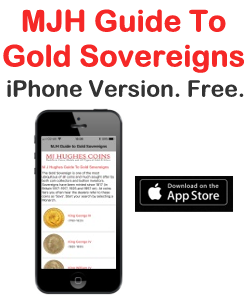 Images are supplied by UKCoinCo. 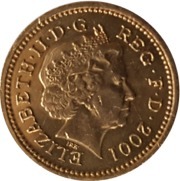 If you are interested in buying a 2001 One Pound Coin - Celtic Cross and Torc then visit http://ukcoinco.com/product/2001-one-pound-coin/. 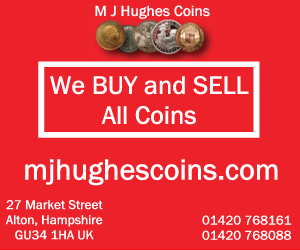 UKCoinCo also purchase coins and coin sets. Mintage: 63,968,065 (may include coins issued as part of a set). Minted at The Royal Mint. Elizabeth II was in her 49th year as Queen. In the USA Bill Clinton ends his second term as President and George W Bush becomes the 43rd U.S. President. After the 9-11 terrorist attack, the twin World Trade Towers collapse. 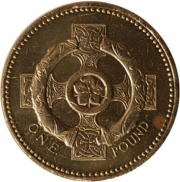 The 2001 One Pound Coin - Celtic Cross and Torc (a British one pound (£1) coin) is a denomination of the pound sterling. Its obverse bears the Latin engraving "Dei Gratia Regina" meaning, "By the grace of God, Queen" and FD meaning "Defender of the Faith."